Last year, Kenneth Branagh directed a feature film adaptation of the classic Agatha Christie mystery novel, Murder on the Orient Express. Branagh himself took on the lead role of Hercule Poirot, a detective investigating a murder which occurs on a moving European train. Supporting Branagh in the cast were some key players in Hollywood, including Penelope Cruz, Judi Dench, Willem Dafoe, Daisy Ridley, and Johnny Depp. The film wound up earning $351 million against a $55 million budget, and Branagh quickly took an interest in replicating that success with a sequel. With Kenneth Branagh returning to direct, 20th Century Fox has been moving forward with the official follow-up film, Death on the Nile. Also based on an Agatha Christie novel, the screenplay is written by Michael Green, who also penned Murder on the Orient Express. The plot will follow Poirot on a new mystery-solving adventure, this time on a luxurious cruise ship set on the Nile River. The curious inspector must once again get to the bottom of a murder when someone turns up dead on the boat. However, things go from bad to worse when Poirot’s potential suspects start dropping dead as well. As of now, Branagh hasn’t been confirmed to reprise the role of Poirot, but it seems likely given that he’s coming back to direct. Should Branagh take the part, he’ll be appearing opposite Gal Gadot, whose casting in the film just became official. The popular Wonder Woman actress will be taking on the role of Linnet Ridgeway Doyle, a rich heiress on the cruise. How exactly her character plays into the heinous murders which occur on the boat remain to be seen, but either way, the prominence of the role suggests she will be very important to the story. This won’t be the first feature film based on the original Agatha Christie novel. In 1978, John Guillerman released his take on a movie version of the story, using a script from screenwriter Anthony Shaffer. This version featured Peter Ustinov in the role of Hercule Poirot, with the rest of the cast featuring several recognizable names like Mia Farrow, Angela Lansbury, Maggie Smith, Jack Warden, George Kennedy, and Bette Davis. The movie managed to snag a Golden Globe nomination for Best Foreign Film. Death on the Nile has an official release date set for Dec. 30, 2019. Of course, with Gadot staying busy, this won’t be the only film we can expect to see the actress appear in. Currently, the star is working on the sequel Wonder Woman 1984, which is slated for a Nov. 1, 2019 premiere. 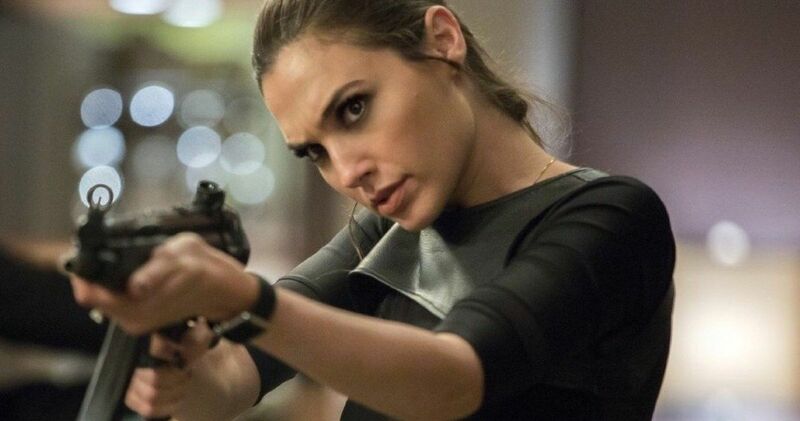 Gadot has also been cast opposite Dwayne Johnson in the action-comedy film Red Notice, which is due in 2020. As for the near future, you can hear Gadot provide the voice of Shank in the animated sequel Ralph Breaks the Internet. This news on Death on the Nile comes to us courtesy of Deadline.